 (18 mile round trip ride on rolling moderate hills – County Blacktop Roads). Begin at the historical Shelby County Courthouse (6th & Court St.) and begin riding North on 6th St. to Cyclone Ave. Turn Left onto Cyclone Ave. and ride West on Cyclone until you reach 12th St. Turn Right on 12th St. and ride North on 12th St. out of the city limits. (12th St. becomes Linden Road). Continue on Linden Road until you reach the intersection of F32. Turn Left on F32 and follow West to the Intersection of F32 & Hwy 59. Carefully cross Hwy 59 and continue West on F32 approximately 4 miles until you reach Westphalia. Turn Right on 4th St. and ride North into Westphalia. You will see the Westphalia Club House where you can get good food & beverages (405 Duren St, Westphalia, Ia. PH: 712-627-4235). On your right you will also see the beautiful St. Boniface Church and new Parish Center. Return on the same route to Harlan.